I’ve posted in the past about drying herbs quickly on a tray or towel in the trunk of my car. I’ve also pressed flowers in this way…the technique works. Recently, I’ve gone an even quicker route. 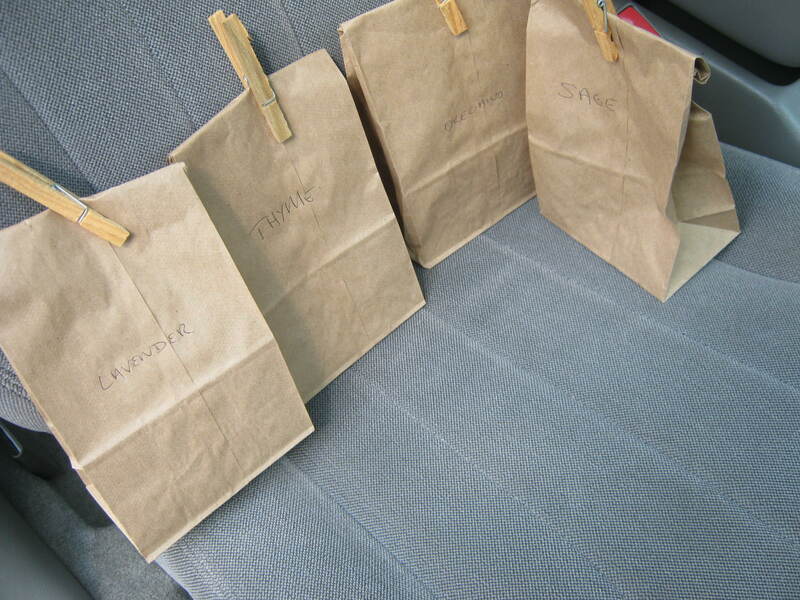 I place clean herbs in brown paper lunch bags, clip the top shut with a clothespin, and leave them inside the hot cab of the car for a day or two. I then shake the bag a little, and place it in the top of a dark closet. Within a week, the herbs are ready to package up and use. Give this a try. Your car might smell a little like an Italian restaurant, but that’s not a bad thing at all.